Pat Flynn: Hey what’s up everybody, Pat Flynn here and welcome to Episode 824 of AskPat. Thank you so much for joining me today. As always I’m here to help you by answering your online business questions, five days a week. We have a great question today from Ashley but before we get to her question, I do want to thank today’s sponsor which is FreshBooks. They help you with everything related to your business finances from keeping track of your income, your expenses and also invoicing, and that’s what’s really cool about them, so if you do any invoicing like you’re a coach or you do consultant work or anything like that, if you do any billing of any kind FreshBooks makes it incredibly simple to offer an invoice to somebody and also get paid. I’ve used them for the last year or so with invoicing and its great. You can create one in less than 30 seconds. You can actually even keep track of who has yet to open the invoice after you send it to them, which is a great follow up. So check it out. You can actually check it out for free for 30 days by going to Freshbooks.com/askpat and make sure you enter “AskPat” in the how did you hear about us section. All right, now here’s today’s question from Ashley. Ashley: Hi Pat. This is Ashley, I’m starting a podcast to coincide with my blog todaysin.com. My podcast will mainly be interviews. So my question is, what is your advice for somebody just starting out to seek and secure new people to interview? Thanks, Pat. Pat Flynn: Hey Ashley. Thanks so much for the question. I appreciate it. Congrats on the new podcast. In terms of securing people for an interview, first what I would do is actually make a list of all the people you want to interview. Then I would just kind of brainstorm, go out there and find people who would be a great complement to the kind of content that you want to share. You know that’s what I like to offer in terms of how to find the right people to interview. Because it’ always going to be about, what messages do I want to share with my audience? What kind of value do I want to bring to them? What kinds of things do they need help on? And then from there, decide okay, well these are the people that can help me deliver that kind of message. These are the people who have that value to share who I can then interview. In terms of reaching out, it’s going to be difficult at first if you’re just starting out because you don’t have a podcast here, right? Or you’re just starting out and a lot of people are like, “oh, well. I’m going with it until you have more listeners” and things like that which is totally understandable, right? People’s time is really important. But here’s what I would do to increase the chances that you’re gonna get interviews. So if you’re looking at somebody to interview who is a well known person, you can start with the ones who have books or have been guests on other podcasts, or who have their own podcast and reach out to them. I would actually initiate a conversation via social media first and then follow up with them via email. That way when you’re sending them an email, it’s not just cold email out of nowhere, you’ve actually connected with them in some way, shape or form in the Twittersphere or the Facebook Land. So that is what I would recommend, just that the email’s not completely cold. Also, during the sort of initial reach out process you can actually provide value to them in some way. That obviously will open up the door for you when you have an answer for yourself and make it more likely that the person will say yes. But also because you’re selecting somebody that has a book, or maybe they have a product coming out soon. Those are people that are typically more likely to say yes because they want to get in front of people and promote their thing. From there you can then name drop. So after you have those well-known people on your list, in those episodes come out, you can then reach out to other people who may not be so frequent on the podcasting sphere and have them see that. Well you’ve interviewed people like them or high up like them so wow, you have some authority and through association, they’re likely going to be, or more likely going to say yes. Now the other thing I want to say is, you don’t necessarily need to always interview and I actually wouldn’t recommend always interviewing just top level players. I would actually recommend interviewing B-listers, if you will. If you want to call them that. I don’t want to say that in a degrading kind of way but the people who are up and coming, if you will. And even interviewing people who you’ve helped already.  Some of my most popular interviews on the Smart Passive Income podcast. Did I say Smart Possom Income podcast … Smart Passive Income Podcast are ones where the interviews with somebody who’s never been hurt before who is simply just a person who is listening to the show one day and had done something and had amazing success, like Shane and Jocelyn Sams in episode 122. I’ve interviewed several other people since then that are listeners of the show and those tend to be the ones that people can relate to the most and as a result, they’re the ones that people love. Because if you think about it, sometimes the best education comes from not somebody who is ten light years ahead of you who maybe speaking in a language that you can’t even understand or who’s just so far out of reach that it just is almost depressing sometimes. But it’s somebody who’s just maybe two steps ahead of you, or three steps ahead of you. Because they had just gone through the same process that you’re going through right now. Those people can be the most inspirational to interview and the most motivating too and then a person listening on the other end, they’re going to see a person who’s just like them. Then again, just a few steps ahead. So that’s a great way to really fill out your interview calendar if you will. Your content calendar there because those people are going to be more likely to say yes, especially you’ve helped them in some way because they’re going to want to pay you back in return by coming on the show. They’ll be likely to say no that’s for sure but then they’re going to talk you up, they’re going to make you look great so actually if you have anybody that you’ve helped, anybody that has maybe left a testimonial for a product that you had or sent you an email saying, ‘thank you’, for something that you’ve taught them. Why don’t you invite them on the show? And have them and feature them? That’s a great way to add clout. Great way to build authority. Great way to (in a non-aggressive way) have your brand be heightened and also just fun. And inspiring for you as the interviewer to see that you’re having the same impact on your people. So Ashley, hope this helps you in terms of scheduling these interviews. Making sure they’re clear, in the lines of communication, how these interviews are going to be held. When they’re going to be held. You might want to use a tool called Calendly to help set up these interviews. That way it’s really easy and quick for people to understand, okay, well when are you free or when are they free. The communication efforts when setting up a podcast interview can sometimes be quite cumbersome because of just the back and forth and people schedule and again, like I said, everybody’s busy. But Calendly can help quite a bit and then also making sure they know where to connect you, or where to connect to you. Like on Skype, for example, what the username is. And again, making sure it’s on your calendar and the timezones are correct. All those sorts of things. But again, making sure that you’re just, again, don’t be scared to do that initial reach out because what’s the worst that can happen if you reach out. They might just say no and that’s not so bad. So take that jump and ask around. Ashley, thank you so much for your question. I really appreciate it. I want to send you an AskPat t-shirt for having your question featured here on the show. And for those of you listening. If you have a question that you would potentially featured here on the show as well just hand on over to AskPat.com and you can ask right there on that page. Today’s question comes from Ashley, who has a question about looking for and landing interviews for her new podcast. Where should she start in finding the right people to interview? What are some tips to reaching out to people for interviews? Since she’s new to podcasting, who should she reach out to for interviews? In this episode, I mention the calendar tool Calendly. Check it out at Calendly.com. Do you have a question about securing people to interview for your podcast? Record it at AskPat.com.